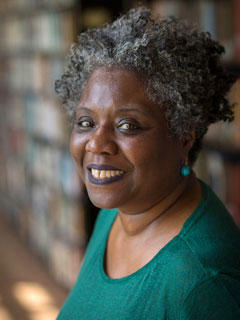 On this edition of In Black America, producer/host John L. Hanson Jr. concludes his conversation with Dr. Noliwe Rooks, director of American studies and associate professor of Africana studies at Cornell University and author of Cutting School: Privatization, Segregation and The End of Public Education. Rooks talks about the making and unmaking of public education, the corporate takeover of education and school choice. On this edition of In Black America, producer/host John L. Hanson Jr. speaks with Dr. Noliwe Rooks, director of American Studies and associate professor of Africana Studies at Cornell University, and author of Cutting School: Privatization, Segregation and The End of Public Education. Rooks talks about the making and unmaking of public education, corporate takeover of education, and school choice.